Natural Dieting – Better Than Medical Weight Loss? Everyone wants to look fit but getting rid of those extra pounds is not that easy. However, this does not mean that you cannot lose weight fast, naturally. 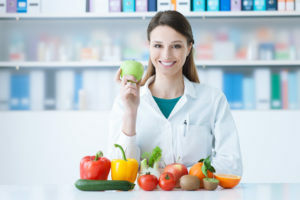 If you are determined to lose that extra weight, there are a number of options available today to lose those extra inches without starving yourself to death and without seeking medical weight loss programs. One of the first things you need to do is to manage your diet. If you have been eating a diet rich in starches and sugars, you need to cut back on those. Starches and sugars stimulate secretion of insulin by the body and insulin are the main hormone used by the body for fat storage. When the level of insulin goes down, it is easier for the body to burn the stored fat cells instead of using carbs. There is another benefit of lowering the level of insulin. With lower insulin level, the body also sheds unnecessary water and excess sodium that helps in losing water weight. In fact, a lot of people have been able to lose up to 10 pounds within a week by getting rid of starches and sugars from their diet. Another benefit of lowering insulin level is that it will suppress your appetite which means that you are less likely to feel those hunger pangs. Another change you need to make to your diet is to add adequate quantities of protein, fat and carbohydrates in your diet. In simple terms, the goal of the diet is to have around 20 to 50 g of carbohydrates each day along with high protein and adequate amount of fat. As far as adding protein to your diet is concerned, you can have protein in the form of chicken, beef, lamb, pork, bacon, lobsters, salmon, shrimp, pastured eggs and other such things. Protein rich diet also helps in boosting metabolism which means that your body starts burning fat at a faster pace. Protein rich diet also helps in reducing hunger pangs, and you will automatically eat fewer calories each day. Regarding vegetables, you can add cabbage, celery, kale, spinach, cauliflower, broccoli and other such veggies to your meals. You can eat these vegetables as much as you want and you won’t go over 50 carbs each day. You can have butter, avocado oil, coconut oil or olive oil for fat. Experts recommend using coconut oil for cooking as it is rich in medium chain triglycerides that are more fulfilling and can also help in boosting metabolism. Another thing you need to do is to exercise on a regular basis. The best way to exercise regularly is to go to the gym at least 3 to 4 times in a week. You can do light exercises such as stretching and lifting weights after warming up. If you are not sure about the exercises to do, you can ask a trainer at the gym for advice. One of the most common side effects of fast weight loss is slowing down of metabolism, but if you exercise on a regular basis, it will help in preventing metabolism from slowing down. Even moderate amount of exercise will also help you in gaining some muscle and losing body fat. If you are not fond of lifting weights, you can always include cardio workouts such as swimming, walking or jogging in your routine. In addition to the above, you also need to make sure that you drink adequate water. It will not only help in boosting metabolism, but it will also keep you full. Many people are not aware of the fact that sleep quality is one of the strongest factors when it comes to weight gain. Therefore, it is important that you enjoy good quality sleep each day for at least 6 to 8 hours. As far as the pace of weight loss is concerned, following the above advice should help you in losing 5 to 10 pounds in the first seven days. After that, you can keep losing weight on a consistent basis by adhering to the same routine. Nowadays, many teachers all over the world are searching for newavenues of engaging their students. Although more well heeled schools are seeking towards high technology avenues to getting their students associated with their learning, others must seek more conventional avenues to getting their students enthusiastic about their work. Educators in any way levels, from kindergarten entirely around the university level are finding that as opposed to pressing students to concentrate on rote memorization, they will improve results by pushing students to get more creative with their educational development, whatever subject they’re teaching, whether it be art, technology or business skills. One option more and more educators are taking are creative writing workshops to be able to make them learn the skill sets they require in order to allow them to help their students be a little more creative also. Many educators on many levels have realized that creative writing work is a wonderful method to engage students in numerous fields. Getting creative juices to start pumping throughout the classroom and the instructor’s mind alike can be a valuable ability for all those educators. Encouraging students to publish creatively is additionally a wonderful way to engage themselves from the learning process because they put a certain amount of their very own imaginations into the process, becoming emotionally invested in the long run result in no time flat. The Creativity Workshop offers creative writing workshops designed for educators to assist them make their teaching and personal lives more imaginative. Their workshops usually are meant to help educators figure out how to encourage creativity and innovation in nearly any field of education imaginable, whether it be in visual arts, physical sciences, humanities, mathematics or languages. Helping educators push themselves over writer’s block and overcoming the fears that keep people from expressing both themselves and new ideas is the central component of every creative writing workshop the Creativity Workshop offers, as well as lessons in how you can employ creative methods to both get students considering learning and develop the teamwork skills they’ll need to succeed inside and outside of the classroom. These workshops include lessons in storytelling, automatic drawing, free form writing, mapping the creative process, overcoming the fears that block the direction to creative success, effective time management and seeing things through different perceptions as a way to foster an environment where teachers and students alike might be more imaginative without losing sight in their end goals. When it’s all said and done, those studying at these creative writing workshops could have an improved grasp of the way you use creative writing within the educational process. These workshops can and sometimes are a kind of professional development for teachers of most levels. Many attendees of these workshops have realized themselves capable of receiving considerable school funding from both the schools that employ them also as larger scale grants and programs designed to help educators develop professionally. The costs from the workshop that are not covered by other means along with related traveling expenses could be tax deductible if the workshop is relevant to your brand of work. Individuals who are currently studying being educators in contrast to actively teaching could also make use of these workshops as numerous colleges consider them an unbiased study course great for reaching towards an advanced degree. The Creativity Workshop started out for an ordinary college level course at the University of Iowa for several years, as well as to this day may be worth 3 credits. Supposed to have been accessible to both undergraduate and graduate students throughout the International Writing Program, it provides since opened its doors to professionals in the area of education at the same time.